Given that it’s St Patrick’s Day, I decided that I would make a loaf of brown soda bread, as for me this is one quintessentially Irish food that most Irish people do actually eat. I used Darina Allen’s brown soda recipe, which came by way of the Saveur website. While none of the American food websites (or British for that matter) ever quite manage to nail the obligatory St Patrick’s Day Irish foods post, Saveur Magazine, which has a really, really great website (excellent daily content and photos) did an okay job of it. 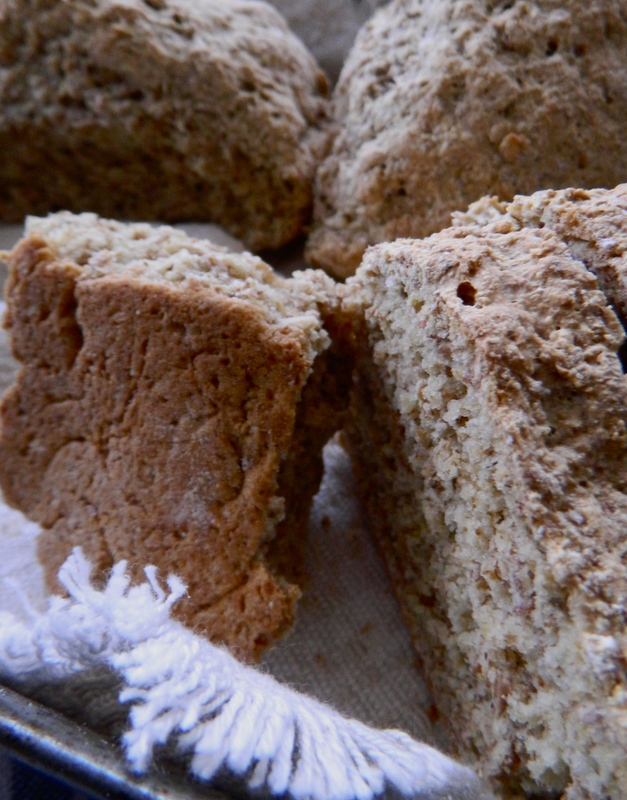 At least some of the recipes it features are actually eaten here, such as this brown soda bread, which is a real staple in the South. In the North, ‘soda bread’ means something different: it’s a white, griddle-cooked bread, which, when fried, makes up part of the Ulster Fry. Brown bread, or ‘wheaten bread’, is slightly different too, as it’s enriched with egg and butter and baked in bread tins to make a damper, darker, denser loaf. As my parents are from the North, I have grown up with all three breads, and I like them all for different reasons. This brown soda is as easy as it is delicious; serve warm with soup, mackerel pâté or with butter, jams, marmalade and honey. Preheat the oven to 200 degrees. Combine the dry ingredients in a large bowl, and make a well a centre. Add the buttermilk and then bring it together with your hands till its soft but not sticky. Add more flour or buttermilk as necessary. Shape it very gently into a round on a flat surface, so that it’s about 2 inches thick and slash a cross deeply into it. Place on a greased tin and bake for about 20 minutes at 200, then reduce the oven temperature to 180 and bake for another 20 minutes or so, or until golden all over and hollow when tapped.